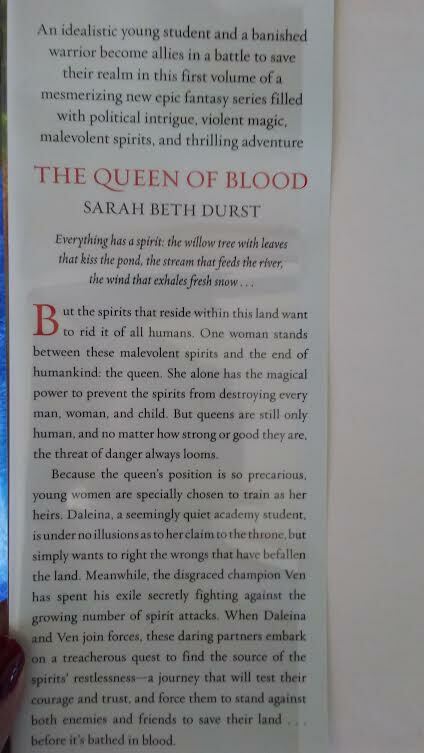 I have found another medieval fantasy book at my local college library called "The Queen of Blood" by Sarah Beth Durst which is Book One of "The Queens of Renthia" series. The title can be a little misreading cause I instantly thought of vampires/dark creature fantasy in many of the popular fantasy books if it weren't for the book cover showing a deep forest picture! I am sucker for these genre of books since reading The Lord of The Rings and Game of Thrones Books! 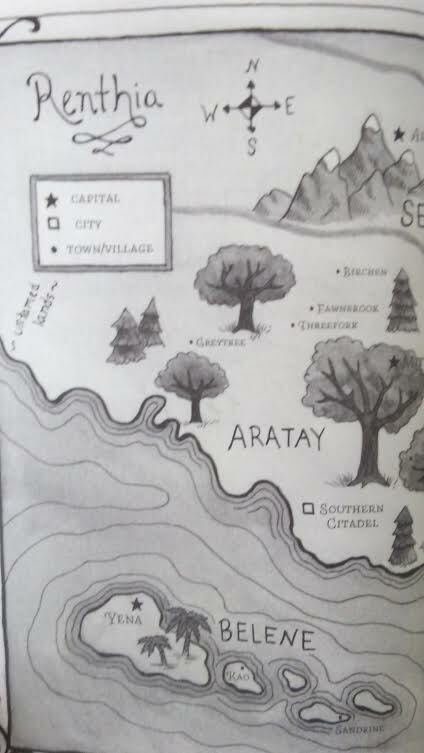 I love that the author added a map to the fantasy world which helps give readers like me an idea about the places are characters travel to! After reading the summary, I want to learn more of this great divide between humans and the magical spirits...I enjoyed reading about the characters and the many choices each one has to make to sacrifice for peace and balance...at cost to oneself and to others!! 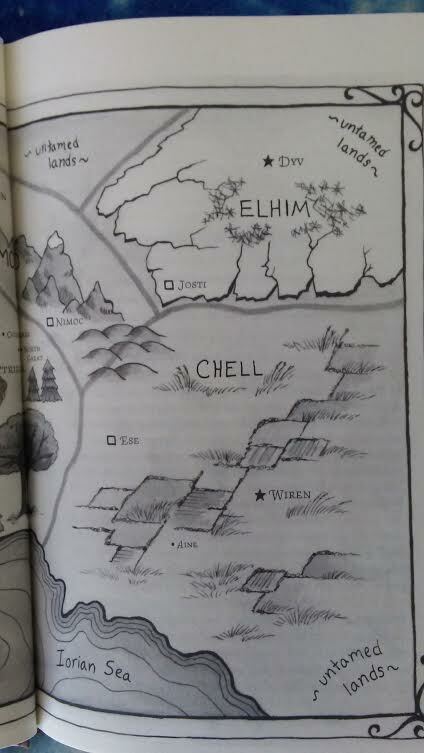 Dalenia and Ven are two of the main characters that are testing their limits and their abilities to protect the people they love, the importance of protecting their realm or maintaining the peace between humans and the spirits, and defying the old ways that have seemingly guide the kingdoms for so long!! 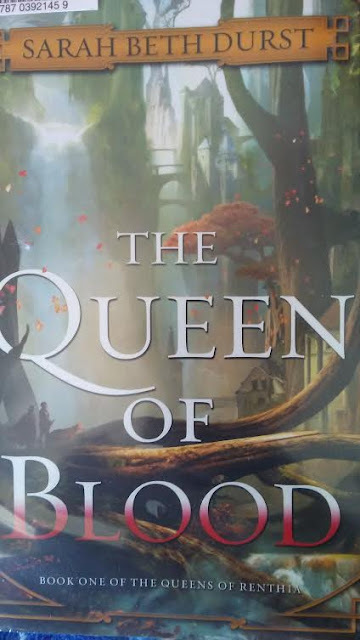 This fantasy novel is great and easy read who love stories about strong women characters that have magical powers and a choice to change their fate and become the unexspected heroes in the story!! 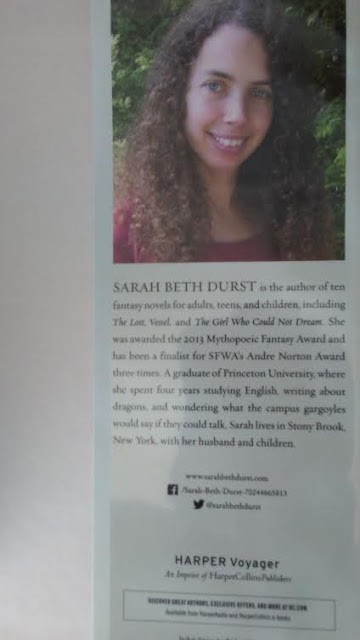 I look forward to more books by Sarah Beth in this series!